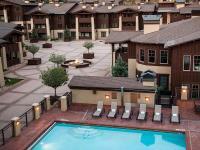 Here are the top hotels for your Deer Valley ski trip! The modern suites feature kitchenettes with granite countertops, and separate sleeping and living areas with pull-out sofas, plus iPod docks, 2 flat-screen TVs and free Wi-Fi. Amenities include 2 restaurants (a steakhouse and a sports bar), a market with groceries and wine, an indoor pool, a spa and fitness center, plus free off-street parking. Ski rentals and kids' club services are available. Sophisticated rooms feature stone fireplaces, whirlpool tubs and flat-screen TVs, plus minifridges, microwaves, coffeemakers and free Wi-Fi. 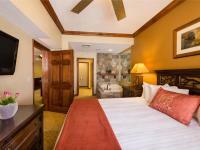 Complimentary amenities include a breakfast buffet, ski storage, an area shuttle and parking. There's an Italian restaurant, a relaxed lounge with a bar, and a ski shop, plus a spa, and a 24/7 fitness center.